For the third week in a row, the Jets blew a fourth quarter lead. This time it was against the Atlanta Falcons, who have a history of blowing leads. The Jets now fall two games under .500 and with a short week coming up, you have to wonder if they will make a quarterback change after Thursday’s game against the Bills. The weather at MetLife Stadium was really sloppy today and both teams were prepared for a slugfest in the rainy and windy conditions in East Rutherford. The Jets got the ball first in the game and for the third week in a row marched right down the field and scored to take an early 7-0 lead. 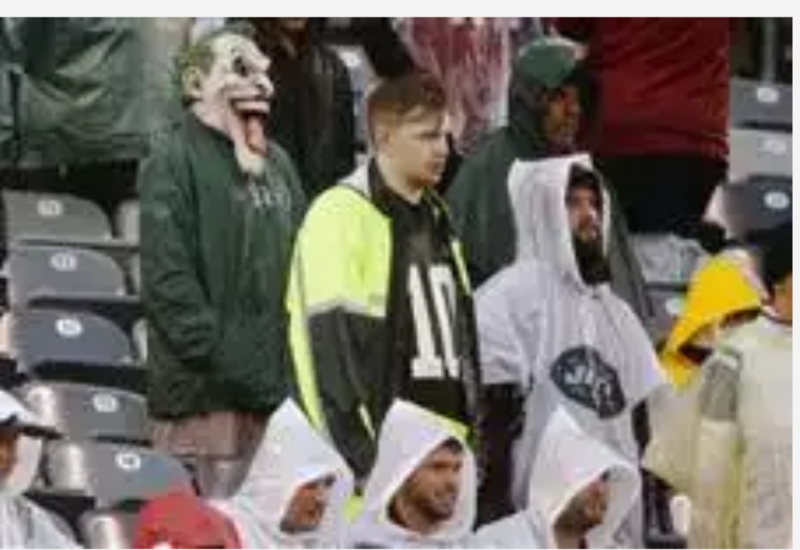 The Falcons were struggling with the rainy conditions as they had a fumbled snap and gave the ball right back to the Jets in deep Falcons territory. The Jets could not score to increase their lead which became a pattern in the game. The Falcons took advantage of the Jets missed opportunity to score a touchdown and tie the game at 7. The Jets got the ball in Falcon territory again thanks to a fumble by Falcons quarterback, Matt Ryan, but had to settle for the field goal. The Jets were getting the ball in great field position but were not able to capitalize and hung on to a 17-16 lead going into the fourth quarter. The Falcons were eventually able to get through the sloppy conditions and eventually scored to take the lead for good. The Jets had blown another game that they easily could have won. The offense was not bad today considering the fact that the weather was really bad. The rain and the wind picked up in the second half, but the Jets did not have any turnovers on offense. Josh McCown was not bad today, but you have to wonder if he has hit his ceiling on the season and will start regressing soon. The offense struggled mightily in Falcons territory, which was a major reason why they lost this game. The defense was great today and should not be blamed for the loss. The defense put the offense in great field position time and time again, but the offense could not convert to extend the lead. Muhammad Wilkerson had his best game of the season by far and needs to keep this performance up for the rest of the season. The Special Teams was straight up trash today. In sloppy conditions, the special teams cannot afford to make mistakes and they made a lot of mistakes today. Early on it was missed field goals while trying to extend the lead and in the fourth quarter it was a muffed punt that basically ended the game by allowing the Falcons to extend their lead. The special teams needs to get better for this team to win games. The Jets take on the Bills at home on Thursday night and this game is going to be tough to watch for Jet fans. The Bills are 5-2 and among the best teams in the AFC, while the Jets’ season is spiraling down the drain, that can only mean one thing. Thank God the Tank is fully on for the Jets.